This Fender TBX Tone Control can take the place of any standard tone control on any guitar with passive pickups. It is designed to cut either treble or bass depending on which way the control is turned, in contrast to standard tone controls that attenuate the treble only. It can also be wired as a master treble/bass control. 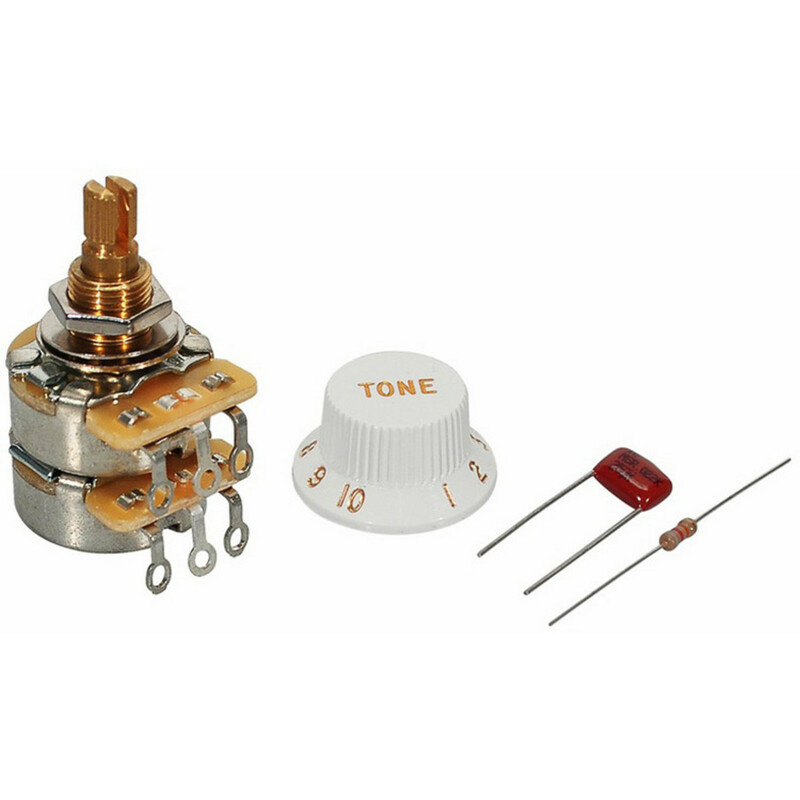 The TBX includes dual stacked potentiometers, a 1M potentiometer and a 250K potentiometer. It is supplied with a 0.022uF capacitor, 82kOhm resistor, mounting hardware and a white tone control knob.